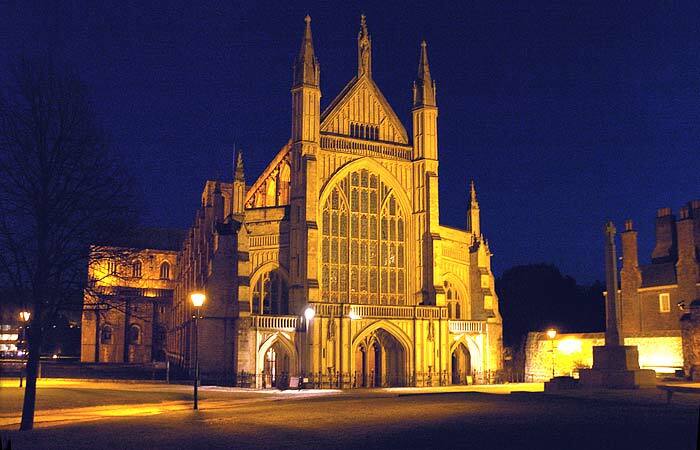 Winchester Cathedral was built at the heart of King Alfred's old Wessex. The foundations of the Cathedral Church, so named because it houses the throne of the Bishop of Winchester, were laid in 1079 by Bishop Walkelin with stone brought from the Isle of Wight and timber from one of Hampshire's oak forests. Most of the building has been restored over the years and the east end was greatly extended during the 13th century, while The Nave was completely remodelled in the 15th century. In its 900 year history the Cathedral has witnessed many great events including the coronation of Richard I (1194), the marriage of Henry IV (1401), the marriage of Queen Mary (1554), and the burial of William Rufus (1100). Among the "commoners" buried in the Cathedral are the authors Jane Austen and Izaak Walton. - Above the great west window fills the whole width of the Nave. Just over a half a mile from the motorway stands the 15th century Old Chesil Rectory. It was donated to the city by Mary Tudor in recognition of the immense cost of her wedding to Philip of Spain at Winchester Cathedral in 1554. 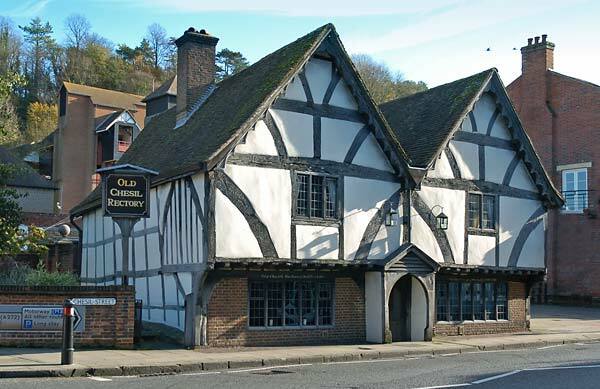 The building occupies land which belonged to St Mary's Abbey, one of the many religious sites demolished by Henry VIII during the Reformation. 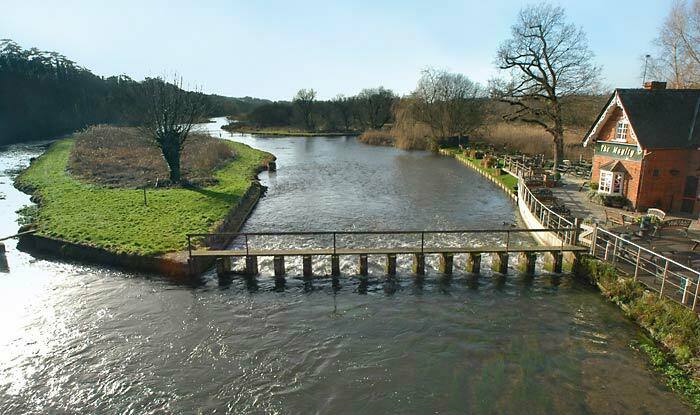 The River Test described by many as "the queen of chalk streams" and the Mayfly public house lit by the winter sun, just to the south west of Chilbolton. After all the winter rains the Test is still running high, but as yet there is no flooding alongs its banks. 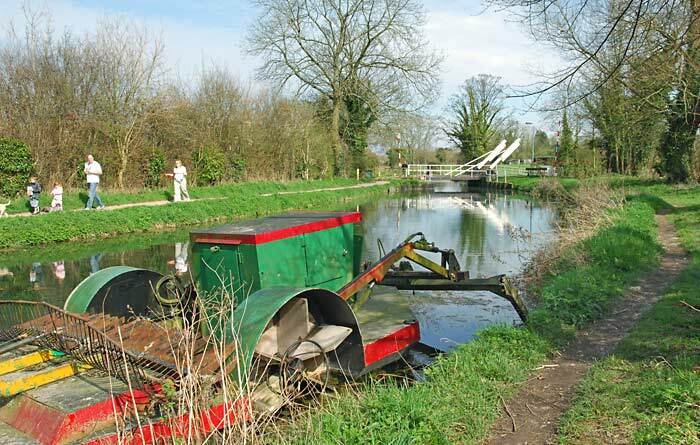 The Basingstoke Canal built between 1788 and 1794 to join North East Hampshire with London, was one of the earliest to be built and the first designed to satisfy agricultural, rather than industrial needs. The canal flows between Greywell and West Byfleet in Surrey, where it joins the River Wey Navigation. After many years of restoration its 32 miles and 29 locks are now fully navigable. The canal is owned jointly by Hampshire County Council and Surrey County Council, the Basingstoke Canal Authority part of Hampshire County Council's Countryside Service manages the whole canal. St. Mary Bourne used to comprise five manors; Binley, Egbury, Week, Stoke and St. Mary Bourne, all of which were included in the Manor of Hurstbourne Priors a couple of miles to the south. 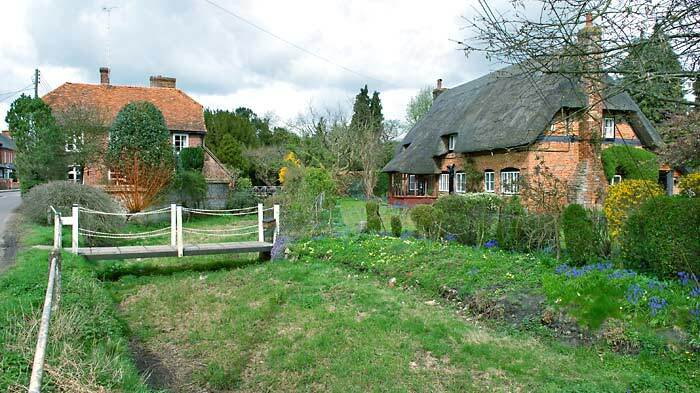 The village's long winding main street is fronted by attractive old houses, many of them thatched. St. Mary Bourne used to be considered such a healthy place to live that it was said "those born in the village would live as long as they liked". 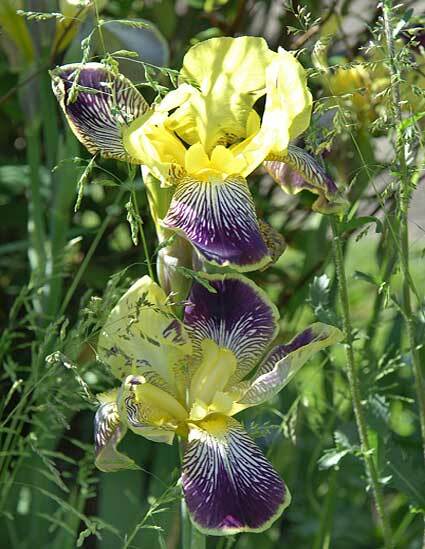 A pair of beautifully coloured iris. 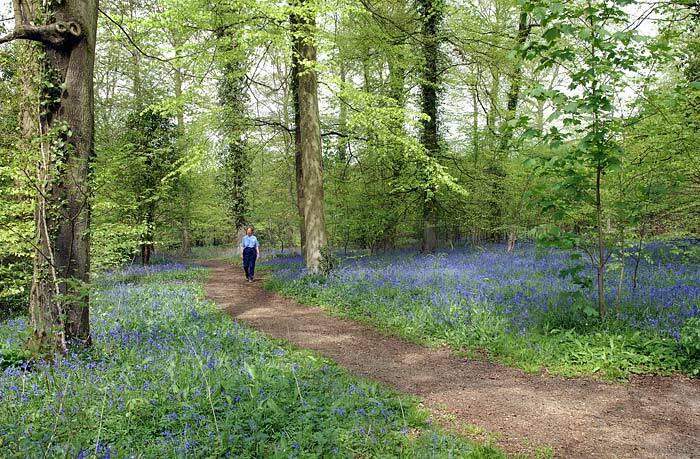 The spring sun alights on a carpet of bluebells in Bere Forest near Wickham. 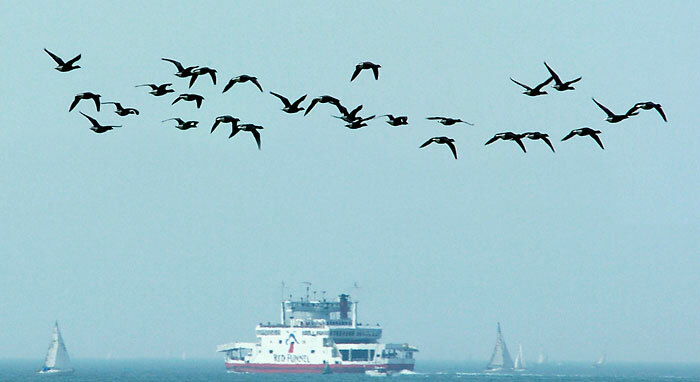 Brent geese take to the wing, in the background a Red Funnel ferry heading towards the Isle of Wight. 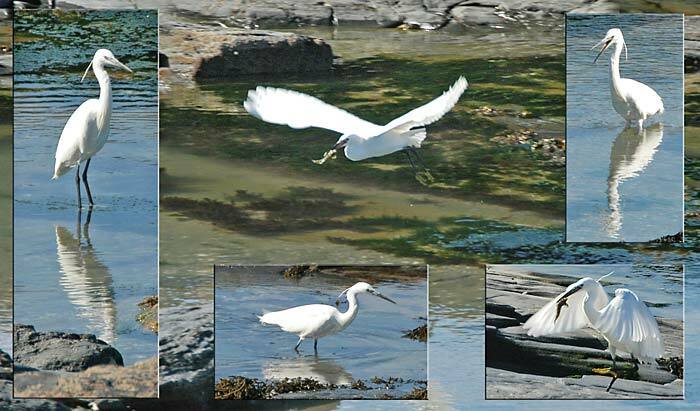 A Little Egret catching lunch in a rockpool on the north Cornish coast.